I haven’t done a chatty blog post as yet so here’s the 1st one. I hope everyone that reads this is having a great Monday morning. Alfie is just having his morning nap so I thought I would grab the opportunity to get a post up ( how long he stays down for is another story this boy just doesn’t sleep). So we have had another lovely weekend starting on Friday with some of my friends round for a few sneaky drinks and a takeaway to celebrate my birthday. We try to meet up as much as possible but this can be a nightmare with every ones schedules/families ect. I am very lucky to have a group of girls as good as mine but we all have to put the effort in sometimes to make it work. On Saturday the kids had a sleepover at their aunties house so mummy and daddy went out…we had a few drinks nice meal and were back absolutely shattered by 11pm! Alfie hasn’t been sleeping and it was heaven to get a full night, even if my daft body clock had me up at half 5 (I ignored it and had a lie in until 9am). We had a lovely lazy Sunday took the kids to the park and made Sunday dinner. Alfie is really improving with his eating but I’m still panicking with certain foods. Last night was the worst night, sleep wise we have had in ages. He goes down really well by 7pm ( any later and he will kick off royally) he will normally then have a bottle at about half 10 and is up in the night for another bottle and to put his dummy in. Last night he was up loads and really difficult to settle back into his cot. At 3.30am I got up him because he was wide awake. I know it’s just down to teething or growth spurts but even 2nd time round you doubt yourself and the middle of the night can be such a lonely place. He is 7 months now and such a happy boy in the daytime so I’m not complaining. I think it’s important to show the reality because I remember as a first time mum hearing nothing but stories of babies sleeping through the night and feeling like a complete failure. School run done and I ‘m taking the pressure off today and taking it as it comes. It’s ok if the house isn’t spotless all the time. If the washing pile keeps growing and the washing up piles overflowing. If unannounced visitors stop by and have to make their own brew. It’s ok if that baby weight is sticking around (plus a few extra pounds). If your roots are showing or in my case greys and your eyebrows have seen better days. If your wardrobe consists of stretch leggings and you are still sporting those maternity Pjs 7 months on (no shame). If you haven’t got a clue what ‘going out clothes’ are and you live in the same 3 tshirts on a loop. If your nails are a complete mess and it’s mum bun or birds nest no inbetween. It’s ok if you are a working mum or a stay at home mum. If you can’t wait to go back to work for some adult time or want to spend every waking day with your littles. It’s ok if you hate baby groups and peppa pig is your sworn enemy. It’s also ok to secretly love fireman Sam and wonder is her really Normans dad? Both ginger, definate sexual chemistry between him and dyliss hmmmm?? It’s ok if you scroll through Instagram on night feeds, if you live through Facebook because you are too tired to go out. Or if you go out every week and love a bit of kid free time. So I thought I would put together some tips that help to make me feel better on a day to day basis and keep my general sh*t together. Parenting is hard so anything that I can do to make it easier on myself (and generally stop my head from falling off)…I try my best to do. Now, I’m no expert so don’t take my word for gospel, these are just things that help me and will hopefully help you too…. Remember to keep yourself fuelled up throughout the day. Sounds so simple but how many times have you reached the school run only to realise you’ve not eaten or drank a thing all day? Que the mid afternoon slump or sugar crash which results in you eating half the kids chicken nuggets and makes you pray for bedtime. Try to start the day with a glass of water and make up a water bottle to top up throughout the day. Keep healthy snacks (and the odd treat) on hand for when you just don’t have the time to stop and eat a full meal. Sort out the main players the night before – uniforms, your clothes for the next day, lunches, homework, PE kits ect…. as much as you want to melt into the sofa with a well deserved gin and Netflix spending half an hour on this will save you so much stress in the morning. Keep on top of things – this is easier said than done I know, but trust me getting a wash on every day is better than doing it all in one go at the weekend and spending your whole Sunday deep cleaning the house. I’m not talking a major clean every day just aim to do a base clean/tidy in the morning and one again before bed once the kids are all tucked up and unable to mess it all up again. Just do the most important jobs. I sometimes set a timer for 15 minutes and see what I can get done in that time ( I know what an exciting life I lead). Nothing worse than waking up to a sink full of pots except perhaps a poonami, that is worse. Keep a calendar – now this could be on your phone, stuck on the fridge or in a diary whatever your personal preference. Get in the habit of checking this the night before or even on a Sunday so that you know what’s on the agenda for the week ahead. I’ve been tripped up by too many forgotten birthday parties and dentist appointments so this is a must for me. You try getting an emergency birthday present for a 5 year old with 2 kids in tow, it won’t be quick and it won’t be cheap. For me the most important. Set some time out for you – Now when I hear the words,’me time’, I think spa days but let’s face it that’s not possible for the majority. For me it could be as simple as a bubble bath when the kids are in bed or binge watching my favourite you tube channel when the baby has a nap instead of tackling that cleaning list. Do what you can within your limits, we are all different and have different things on our plate so even if it’s just 5 minutes to scroll through insta ( or read my blog *wink, wink) it’s important to take that time. My favourite saying is, ‘you can’t pour from an empty jug’ and it’s so true! So I was reeling off today’s to do list, adding a few more extra jobs (because let’s face it they are never ending) when it occurred to me that I will probably only have time to do a third of the jobs on there. That’s providing the day goes perfectly to plan and I suddenly gain the ability to summon the helper birds like a northern Cinderella. Que the nagging feeling of uselessness and the why bother mentality begin to set in. So there I was, completely given up on the list because what’s the point? Tucking into a packet of Bourbons and Jeremy Kyle when I realised that it wasn’t me that was the problem but the list. At the moment I am lucky enough to be on maternity leave and this means I can do the school run and spend the day getting jobs done and looking after Alfie. Now when I say the day by the time I get home and plan in the time for setting off for pick up I have around 5 hours. Within that time Alfie will have 2 bottles and lunch ( I also need to feed myself). Add in the nappy changes and play time and there’s not a lot of time left. I wouldn’t change it and am 100% grateful for being able to do all of these things. Every day we set ourselves completely unachievable goals only to berate and self loath when we unsurprisingly can’t reach them. This then leads to a what’s the point? mentality, which leaves you back at square one. Now I’m not saying lists are the devil because I love a good list and the feeling of ticking something off is great. It’s the amount of pressure we put upon ourselves that leads to an ultimate fail. My goal for this week will be to write one item on the list and then anything else is a bonus. For me missing off the ironing so that I can play with my boy or even catching up on the real housewives of cheshire with a brew (im only human) is much more important. I am going to work at setting myself up for a win not a fall! Today’s morning wake up call was provided by Alfie at 5.30am zzzz. I could already hear the rain and feel the gloomy weather before I’d even looked out of the window. Now, this would normally be fine, I mean I’m a Manchester girl so rain is the norm for me, but last week we returned from our holidays and so full on holiday blues has kicked in today. It started with a badly timed email off Jet 2.com the day after we returned, ” Laura are you ready for your next trip?” Wahhhh, F you Jet 2! This then led to a day of pricing up holidays, pricing up flights on budget airline website and general holiday procrastination/day dreaming. On the way home from the school run it became apparent that I wasn’t the only one feeling the post holiday blues. “I hate it at home with no pool mum, there’s no sun and I want to go to the pub and eat peanuts with Dad” (don’t ask ha). Cue tea time and Daddy returns home from his 1st day back at work. We won’t go into that convo but basically he also wants to go back to holidays and eat peanuts in the pub (we also went to the beach, pool and sun bathed all day but whatever). My name is Laura I am 30, married with 2 beautiful children. 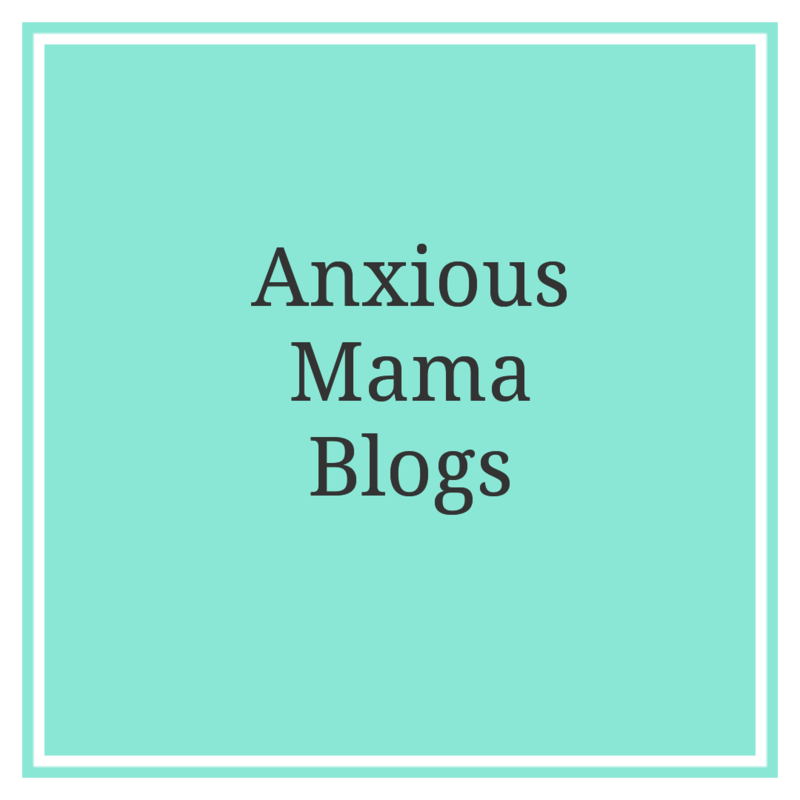 I have suffered with anxiety for as long as I can remember and have decided to start a blog about my experiences as a Anxious Mama. I am currently on maternity leave due to return to work at the end of October; by which point my brain will be fully destroyed by 7 months of baby shark on repeat, (if you know you know). In the mean time my days are filled with housework, baby talk and school runs for my 5, soon to be six year old little girl. I absolutely love to read (given half the chance), write and am addicted to scrolling through social media in my pj’s ….. shhh don’t tell the perfect mum squad.